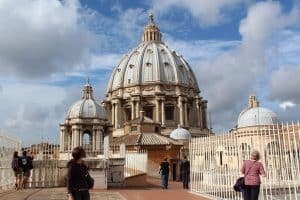 When exploring the stunning beauties on your Vatican Tour Rome, every spot you place your eyes on will appear as the most stunning attraction you would have ever seen. There is plenty to see and learn while touring Vatican City. Are you ready to find out all the secrets behind the smallest sovereign country in the world? Here you are. Standing right in the middle of one of the world’s most visited square. 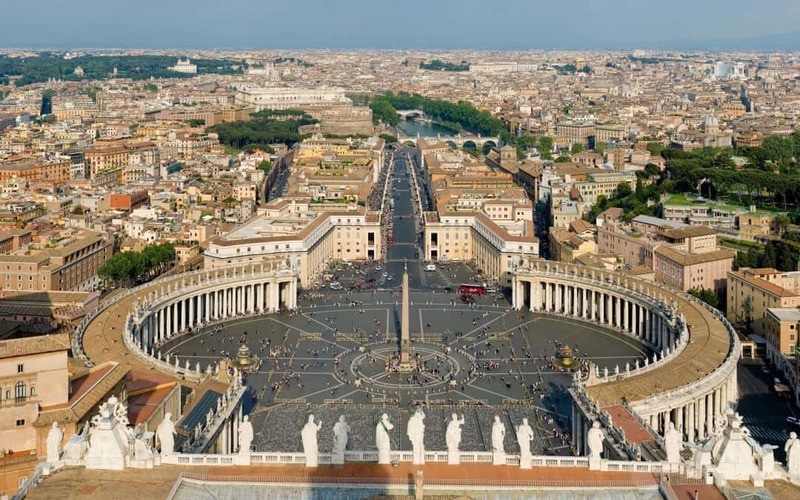 Not only, St Peter’s is probably the most known square on the entire planet. Take a look around you. The magnificent Basilica stands proudly right at the end of the square. But before we get there, there are already a million secrets to learn in the St Peter’s square itself. This is a very important meeting point for catholic pilgrims, who gather here every day to share their prayers. However, this spot is particularly crowded on Sundays, when the Pope speaks to the faithful. The colonnade that encloses the square marks the border with the Italian country and has a special secret. Want to know what it is? Well, I will only anticipate it a little. There is a spot in St Peter’s square that allows you to look at every single one of the 284 columns designed by Bernini. I bet you are now dying to find out where that is: I will show you during my Vatican City Tour! 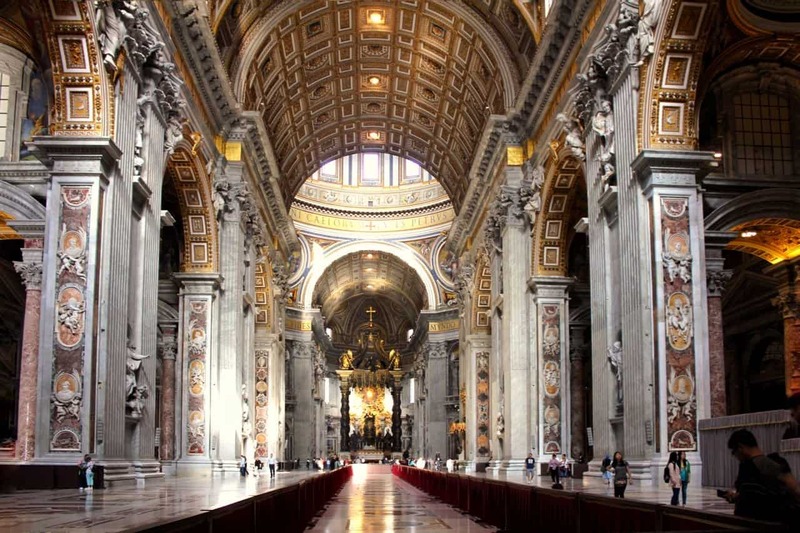 The most stunning of all Basilicas in Rome, St Peter is also the largest catholic church in the world. Built in over 120 years, the Basilica hosts one of the biggest art collection on the planet. Also, it is the burial site of Saint Peter, apostle and first Bishop of Rome, and many other Popes. Can you see the neverending queue right in front of you? No need to panic. When joining my Vatican Tour Rome, you will also have the time-saving chance to skip the line! Sounds good, doesn’t it? Once entered the Basilica, enjoy some Renaissance masterpieces from Michelangelo, Bramante, Carlo Maderno, Bernini just to name a few. the renowned Pietà of Michelangelo, a perfectly sculptured Vergin holding a baby Jesus Christ. Standing proudly in the Roman skyline, the Dome of St Peter’s is the tallest in the world. From the height of just over 135 meters, you will enjoy one of the most stunning views over the Vatican city and the central Rome. A previous dome was redesigned by Michelangelo in 1547, but the project was later completed in 1590. The inner side of the Dome is highly decorated with frescoes, sculpture and giant biblical phrases. Are you ready to skip the line and get up the top of the Dome? This is one of the reasons why you joined a Vatican tour Rome, right!? 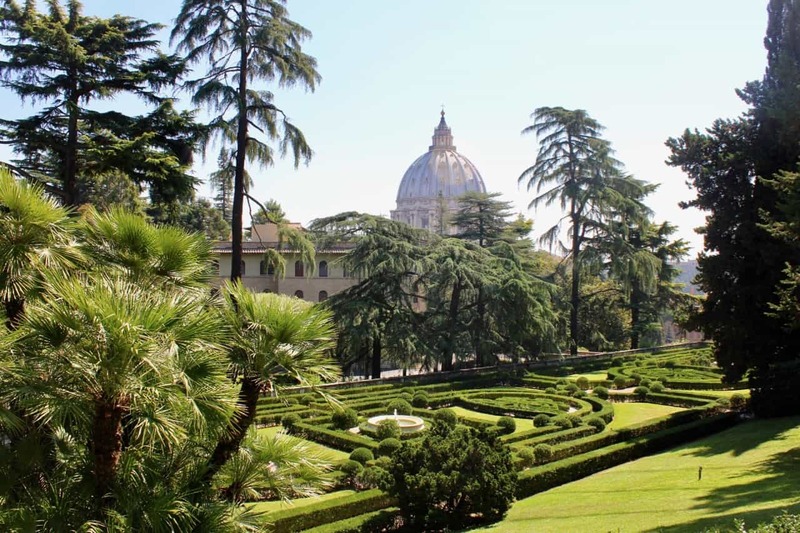 Covering almost a half of the country, the Gardens of Vatican City are a private complex of botanical gardens and parks. These lovely gardens are decorated with fine examples of the Baroque and Renaissance eras, particularly beautiful sculptures and fountains. Visiting the Vatican Gardens is not allowed to the public. But, well, my Vatican City tour has a special permission. Let’s explore them together! With just about 6 million visitors in 2017 only, the Vatican Museums are the 4th most visited museum in the world. How to blame those visitors: the museums display works from the massive private collection of the Popes. They include several classical masterpieces. Artists like Giotto, Perugino, Leonardo da Vinci are celebrated together with some later artists such as Van Gogh, Picasso and Dali. The private Papal collection counts about 70.000 pieces, of which only 20.000 are displayed. No need to get lost: together we will observe the most stunning masterpieces in the Vatican Museums, learning about their deepest meanings. We have left the cherry to the end of our Vatican City tour. 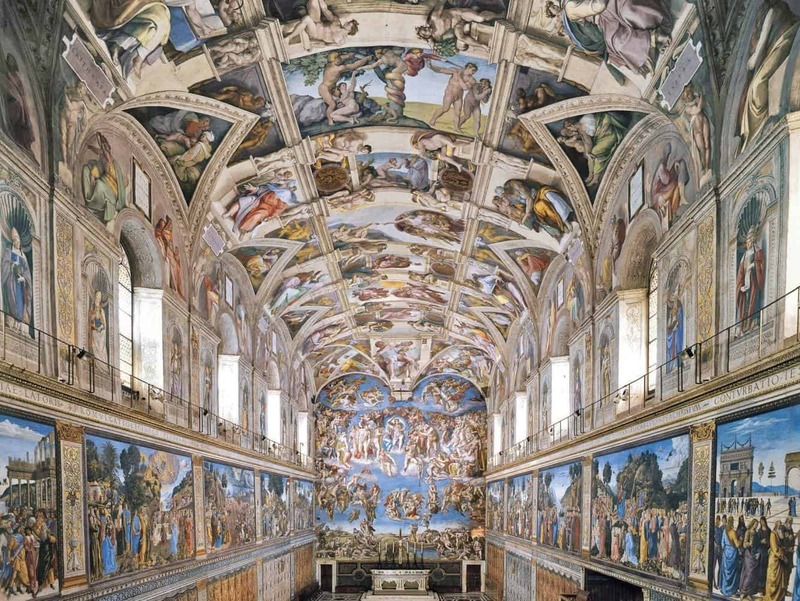 Last but not least, we will spend some quality time observing the beautiful Sistine Chapel. Particularly known for its frescoes by Botticelli, Perugino, Pinturicchio and their schools, the Sistine Chapel is the site of the Papal conclave, the process that selects a new Pope. 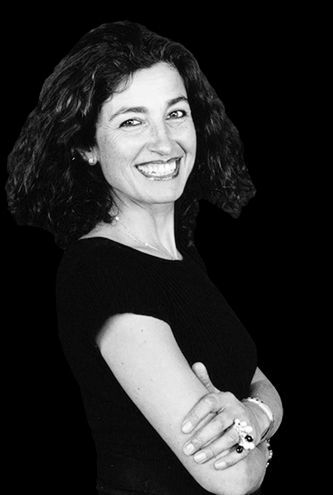 Are you ready to admire one of the most famous frescoes of all times? Turn your head right up: this is Michelangelo’s masterpieces called The Last Judgement. We will then follow the path to visit some more interesting frescoes by Raphael, in the Stanze di Raffaello – named after him. Mosaics, paintings, statues but also fountains, obelisks and architectural features will be the highlight of your Vatican tour Rome. Are you eager to learn all of the deepest secrets of the smallest country on planet Earth? What are you waiting for? 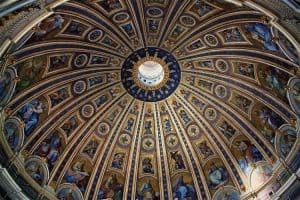 Let’s enjoy the best Vatican tour Rome has to offer.